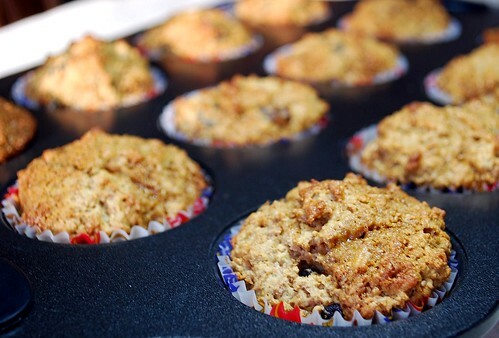 This is a hearty, lightly sweet muffin that is packed with flavor and goodness! Nothing beats the crispy tops and the moist insides, studded with bursts of sweet raisins. 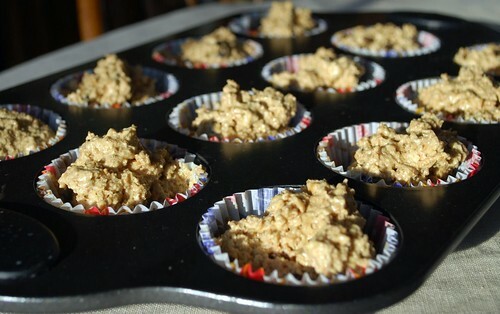 You can mix them up the night before, put the batter in the fridge, and bake them up fresh in the morning. They also freeze well. They are wonderful with a thin pad of butter and a drizzle of honey, too. Cream shortening and suger together. Add molasses and egg. Beat until smooth. Sprinkle the baking soda into the buttermilk, stirring to dissolve. Add buttermilk mixture to the creamed mixture, and add the bran. Mix until just incorporated. Sift together flour, baking powder, salt, and spices, and add to creamed mixture with the raisins. Stir only until blended. Fill prepared muffin cups about 2/3 full. Bake in 425 degree oven for 12-15 minutes. Makes about 12-15 muffins. 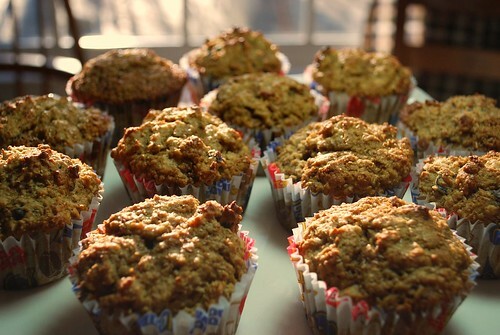 This recipe is easily doubled and extra muffins freeze well.